The following is an address by Hon. 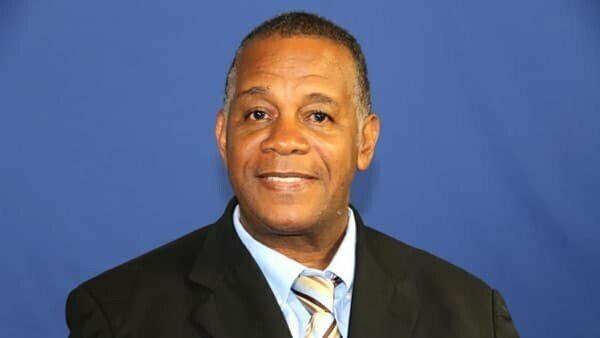 Eric Evelyn, Minister of Culture in the Nevis Island Administration to herald in the observance of History and Heritage Month 2018 during the month of February. It is my privilege to address you on this the commencement of History and Heritage Month 2018, being celebrated here in St. Kitts and Nevis. History and Heritage Month is an outreach activity hosted by various organizations including the Nevis Historical and Conservation Society (NHCS), the St. Christopher National Trust, the Departments of Culture and Education on St. Kitts as well as a number of individuals. Various activities are held during the month of February which seek to promote greater knowledge, understanding and appreciation of the history, heritage and culture of our country among citizens, thereby fostering stronger national identity and pride. I take this opportunity to encourage the members of the general public on Nevis, to support the activities that will be hosted here on the island in observance of History and Heritage Month 2018. A church service is scheduled for Sunday, February 4 at the St. Thomasâ€™ Anglican Church at 10:30 a.m. The St. Paulâ€™s Anglican Church Hall will be the venue of the Sir Probyn Inniss Memorial Lecture on Wednesday February 7 starting at 7:00 p.m. Heritage Day is set for Saturday February 17 from 11:00 a.m. to 4:00 p.m. at Montravers and finally, an Evening of the Arts will be hosted at Bath Hotel on Saturday, February 24 with a start time of 7:00 p.m. The activities have been specially planned to attract a wide cross section of the general public. It is important that members of the public take this opportunity to learn more about our nationâ€™s history and heritage. I make a special appeal to students to familiarize yourselves with all of the pertinent information that will be disseminated during the course of History and Heritage Month. I also pledge the support of the Nevis Island Administration as we seek to celebrate and promote our History and Heritage. I commend the organizers of History and Heritage Month in their efforts to memorialize the late Sir Probyn Inniss by naming the History and Heritage Lecture in his honour and by naming the trophy for the Primary School Quiz the Sir Probyn Inniss Trophy. It is my understanding that the late Sir Probyn served as President of the Brimstone Hill Fortress National Park Society and was the founder of the History and Heritage Month of Activities. He is, therefore, very deserving of this posthumous honur. The start of History and Heritage Month coincides with a visit of a number of overseas officials, as we here on Nevis move to have the city of Charlestown inscribed as a United Nations Educational, Scientific and Cultural Organization (UNESCO) World Heritage Site. We want to ensure that not only Nevisians and residents are aware of our rich history and heritage but that thousands around the world will also have the opportunity to do so. The visiting officials arrived in the Federation on Sunday, January 28 and will depart on Friday, February 2. The advantages of having Charlestown inscribed as a UNESCO World Heritage Site are numerous, foremost of which will be our ability to attract a larger number of tourists with the positive spinoff of a much stronger economy. Inscription will therefore change the touristic and economic landscape of Nevis. I call on all Nevisians and residents to lend your support where possible in our bid to make it to the enviable list of UNESCO World Heritage sites. As we celebrate History and Heritage Month 2018, I therefore urge all Nevisians and residents to continue to celebrate our rich history and heritage which together can serve as a conduit for our full emancipation.